Gehlen Palmer, long-time Middletown librarian, may know more about local history than just about anyone else. Gibson is comfortably moving into its new life as one of three Lake County Museums, along with the Lakeport Courthouse Museum and the Historic Schoolhouse Museum in Lower Lake. We are exceedingly grateful for our community’s support, whether as cash donations, or as contributions of history, time or attention. Many citizens have been instrumental in Gibson Museum’s continued operation and success. Mounting displays about local history and other projects will require our ongoing financial contributions. We are counting on your further participation. Natives in the Lake County area lived quite peacefully before 1823 when the last of the Spanish missions was built in Sonoma. Intrusions began with orders from the mission fathers. Archeological studies have found convincing evidence of inhabitation by native tribes, in particular in the Borax Lake area, as far back as 15,000 to 20,000 years ago. 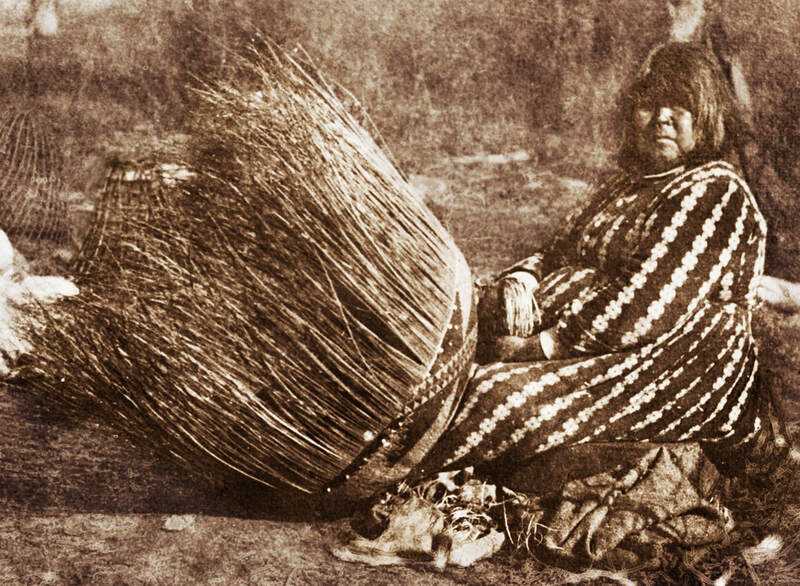 Natives could subsist comfortably on California's wealth of flora and fauna, eating fish and game including rabbits, rats, and squirrels, as well as wild greens, gnats, mushrooms, berries, and grasshoppers. Acorns were the most important part of their diet, although leaching and preserving them was tedious. Local natives held conclaves with other tribes frequently and traveled to trade with coastal tribes. Their wealth of highly desired obsidian was welcomed as payment for the fish and seashells and other niceties they lacked. Remaining descendants of American Indians in Lake County generally describe themselves as Pomo. The name seems to be a parent term for groups of people with similar language in the same general geographical locality. The name is thought to have been adopted from the name of an old-time Pomo village northwest of Ukiah. ​ The Pomo territory was Sonoma, Napa, Lake, and southern Mendocino County, with a small offshoot in Glenn County. Locally the tribes were known as Lake Pomo, Lake Miwok, Koi and Wappo. The native language of the local tribe is Lake Miwok, although Pomo, Wappo and Wintun were assimilated through marriage or adoption. All were skilled basket makers. All were seriously mistreated by the Spanish missionaries and Mexican settlers, well before encroaching Americans, Europeans and other immigrants treated them even worse. The largest native settlement in south Lake County was Tuleyome, located on a tributary to Copsey Creek south of Lower Lake. Another major village, Oleyomi, was located on Putah Creek, about a mile east of today's Hartmann Bridge. A popular meeting place was at Harbin Springs. 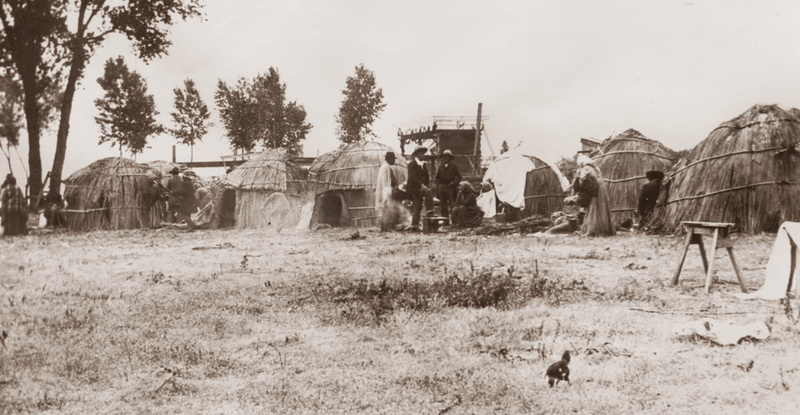 IThe original ancestors of contemporary Pomo found themselves landless and homeless during the 1800’s, and many settled in the Middletown area as well as throughout Lake County. The Middletown Rancheria south of town was established in July of 1910 under the Congressional Act for California Landless Indians. The original five families comprise the present Tribal Membership of 118 recognized adult members, which is the General Council, and 83 recognized minor children. A Middletown tribal elder years ago maintained that the rancheria initially had been slated for location at the intersection of Highway 29 and Butts Canyon Road, across from present day Middletown Cemetery. ​ It was relocated when nearby ranchers complained that was agriculturally rich acreage, “too good for the Indians.” So the tribe put a curse on it. Probably an apocryphal story. But one wonders that so many succeeding owners there have had such a hard time keeping their businesses going.